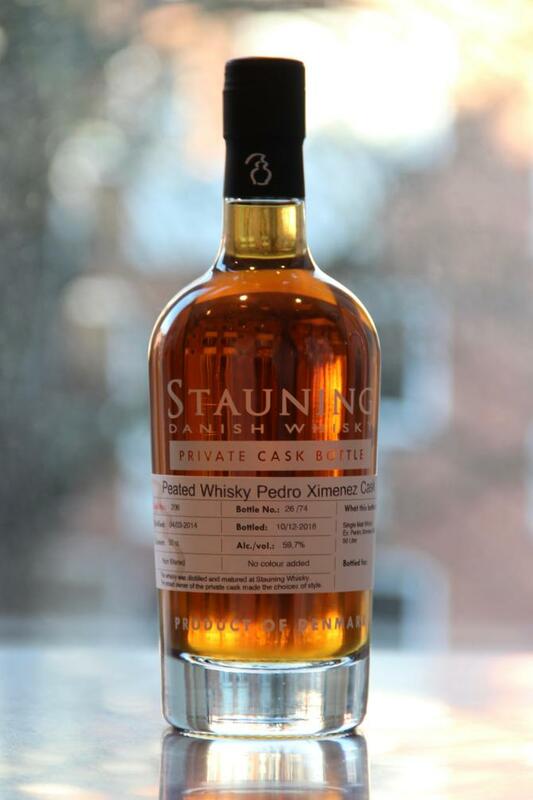 Stauning Private Cask Peated Whisky Pedro Ximenez Cask. Cask No: 206 Yielding 74 Bottles Distilled: 04/03/14 Bottled: 10/12/18 Alc. Vol: 59.7% Single Malt Whisky that was placed in a 50L Ex. 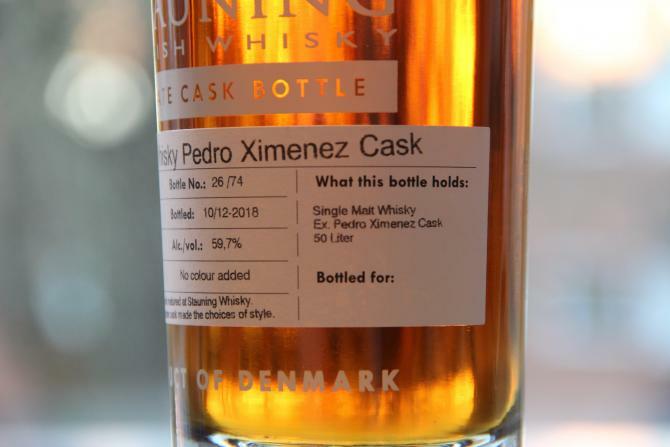 Pedro Ximenez Cask I am the owner on this private cask from Stauning. Only 15 bottles are going to be sold from this cask to the public, 5 have already been sold. Can be collected in Copenhagen or delivered anywhere at buyers expense.